Baby pool floats come in a variety of styles - but be sure to get one that provides some kind of shade or protection from the sun. 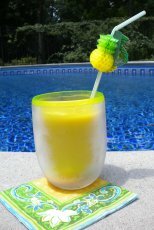 We have used infant pool floats for our kids and now our grandchildren. With new grandbabies, spending time in the pool with them is so fun and entertaining. Babies just love being in the water - at least all of ours have - they love freely kicking their dangling feet and splashing with their hands. Because a babies skin is very sensitive to the hot sun and the affects of ultra-violet light, be sure to get a float with a canopy. 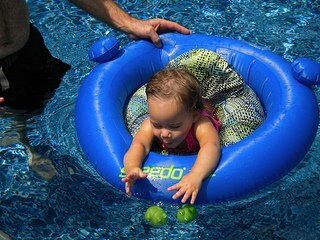 Many baby pool floats provide some kind of top that will shade the infant's delicate skin. It is easy to attach or detach if it isn't needed. The float we are using for our 18 month grandchild is the Speedo Fabric baby pool float. It has two rings - an outer ring and an inner ring so we set a couple of fun toys inside the rings for our little one to play with. We put these fun squirt frogs just in front of the pool float and she loved kicking her feet so she could get to them. It is good for up to 33 lbs and the instructions state that it is made for babies 6 to 24 months. The shade piece needs to be blown up but it doesn't stay put very well nor does it provide great coverage. So if you need one with a better canopy then I recommend the baby spring float. 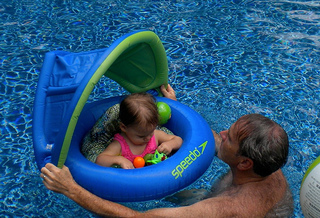 What we did like about the Speedo float is that the baby sits a little deeper in the water, has a back rest for stability for younger ones and seems more stable. This one is made out of fabric instead of plastic vinyl, which I can't ask our 18 month old granddaughter, but I think she likes the feel of it better than the sticky vinyl. It is definitely easier to get her in and out of it. 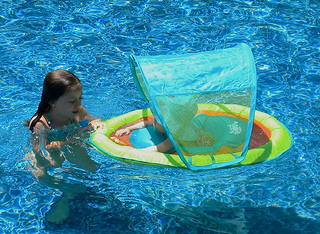 We also found that a baby spring pool float is more durable than an inflatable one. Our first inflatable infant pool float developed a leak within a month. This is our favorite float if you are wanting one with a canopy or shaded top. It is easy to put on and take off and it stays in position or can be adjusted to allow for better shading. 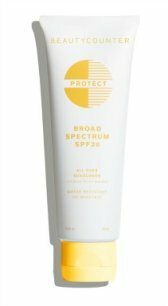 It is durable, it won't develop a leak and provides the best shade. Newer models have an attached toy that helps to entertain and keep baby happy. We have tried several different baby pool floats - some work better than others. One of our floats includes some extra features - like little spinners and a squeaky toy that keeps our new baby entertained and happy. If the float doesn't have a toy, bring a plastic waterproof, squeaky toy into the pool with you and the baby. Let him/her play with it while you push them through the water. 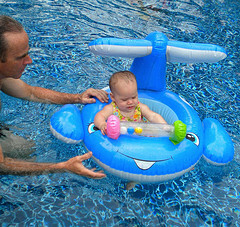 If you own a pool and plan to use it often, an infant pool float will provide you and your baby with many hours of fun. Of course never leave a baby unattended in any pool float - not even for a second. These floats are not a lifesaving device and require competent and constant adult supervision. 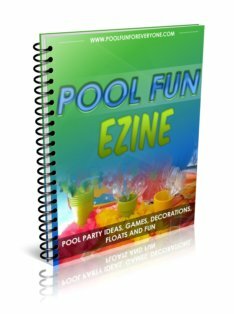 It is a good idea to have a couple of colorful bath squirt toys or pool toys for babies to play with while they are in their baby pool floats. The Speedo Fabric Pool Float actually has two rings - an outer ring and an inner ring so we set a couple of fun toys inside the rings for our little one to play with. 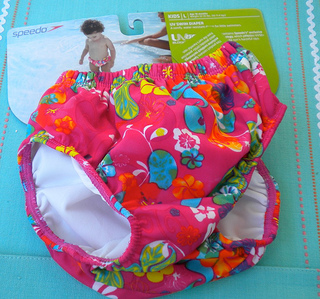 Keep swim diapers handy and ready to go for the babies and toddlers in your family. We like the cloth diapers that can be washed and reused. But you can also use disposable swim diapers. With a few bath squirt toys, swim diapers and the right float, you and your baby can have fun in the pool.